Last year I was online shopping for a unique birthday present for Holly and ran across an item I had to get for myself. I was looking for animation art, specifically production cells from Peter Pan or Winnie the Pooh. Production cells are the most popular animation collection because they are the actual pieces of art used to shoot for filming a movie. Lesser-known or thought about animation art items are model sheets. 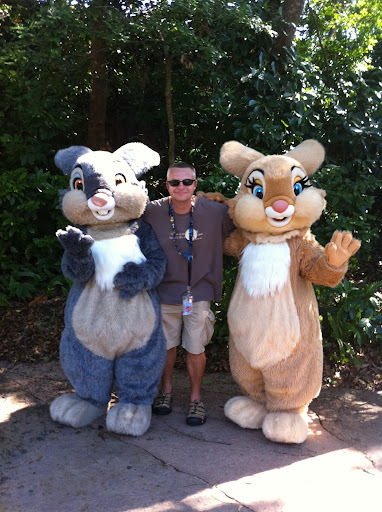 I had found one of Thumper. 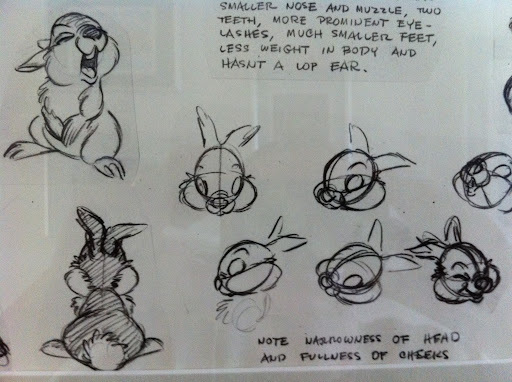 also known as a character board, character sheet, character study or simply a study, is a document used to help standardize the appearance, poses, and gestures of an animated character. Model sheets are required when large numbers of artists are involved in the production of an animated film to help maintain continuity in characters from scene to scene, as one animator may only do one shot out of the several hundred that are required to complete an animated feature film. 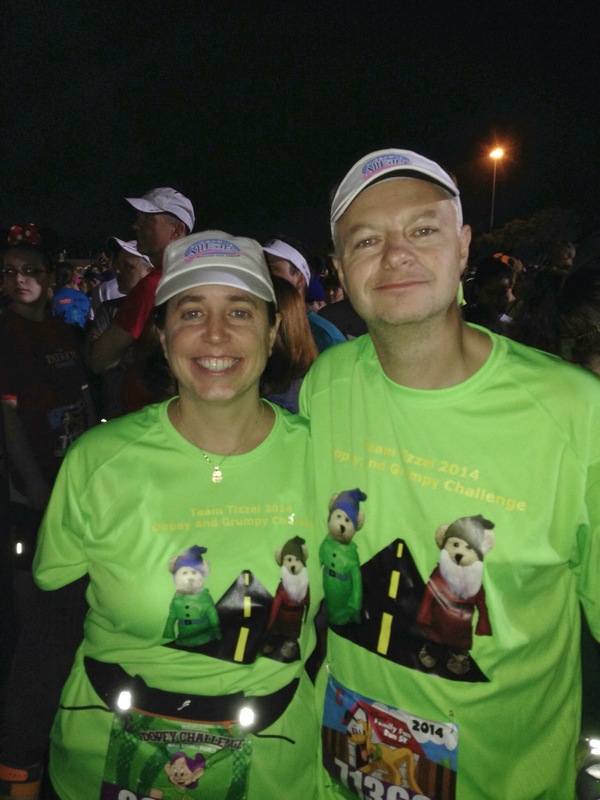 Here's my non-techie description. 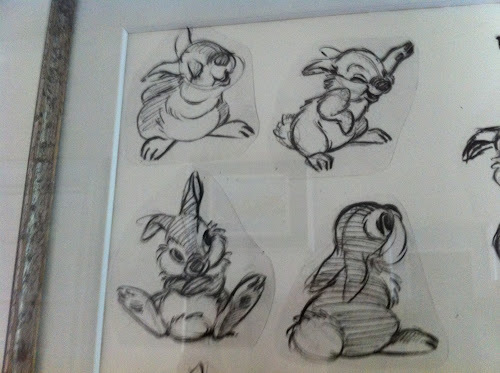 The lead animator or artist would draw multiple pictures of the character in different poses, cut the pictures out and tape them to another piece of larger paper, then make a photocopy of the combined images to make a final product to hand out to the animators. 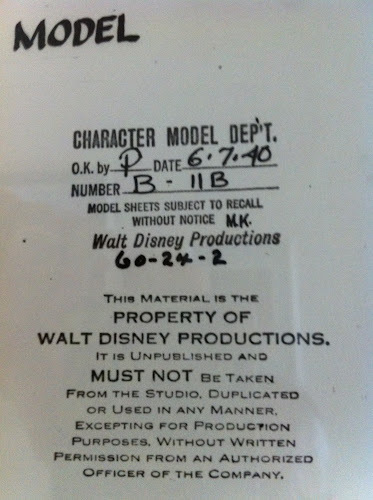 At Disney, the final sheets were numbered and approved. 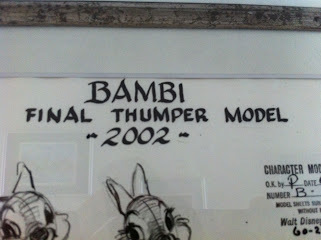 Bill Justice, an animator that worked on Bambi and passed away last year, was photographed using a Thumper model sheet. "Disney began work on crafting an animated adaptation immediately, intending it to be the company's second feature-length animated film and their first to be based on a specific, recent work. The original novel was written for an adult audience, however, and was considered too "grim" and "somber" for a regular light-hearted Disney film. The artists also discovered that it would challenging to animate deer realistically, and at the same time keep the characters slightly exaggerated and "cartoony". 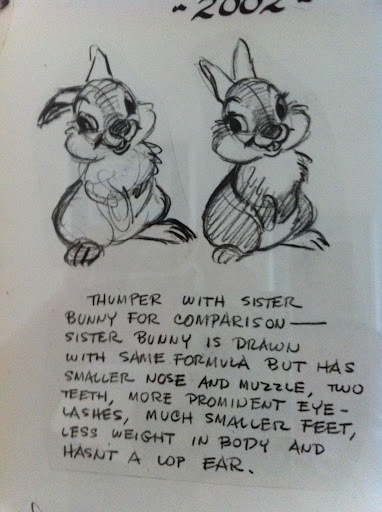 These difficulties resulted in Disney putting production on hold while the studio worked on several other projects." (from the Bambi Wikipedia cited from: Barrier, J. Michael (2003). "Disney, 1938-1941". 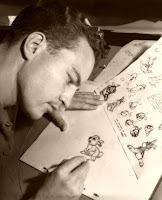 Hollywood Cartoons: American Animation in Its Golden Age. Oxford University Press. pp. 236, 244–245. 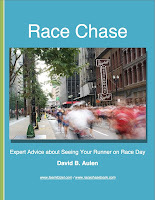 ISBN 0195167295. I believe the "M.K." is Milt Kahl, Disney Legend and one of the Nine Old Men, whom was one of the lead animators on the film. This sheet was created in 1940, making it over 70 years old. 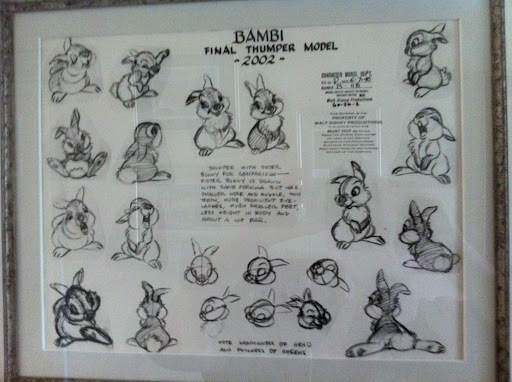 For a while film studios were shutting down fan sites posting model sheets fearing folks would use them to create unlicensed knock-off merchandise.